I’ve done it. You’ve done it. We’ve all done it. A lot. And you know what? We’ll all do it again, over and over. But I hope that not one of us does it tomorrow. When you only plan to purchase one, small item and approach the supermarket check-out counter to find an extended line, the natural inclination is to return the product, leave, and come back at a more opportune time. In this scenario, the rationale makes sense. What happened last weekend, and what hopefully will not occur over the next twenty-four hours, makes no sense whatsoever. 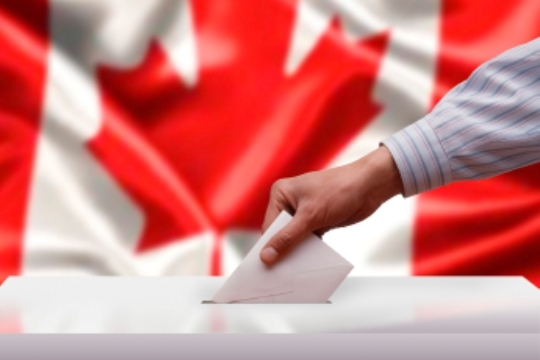 Last weekend I read about many Canadians arriving at advanced polling stations only to quickly complain or walk away completely at the site of the lengthy lines. This, I don’t understand. Are we that spoiled that the mere thought of an inconvenient moment will dissuade us from taking part in, arguably, the most important aspect of our society?